The normal shoulder is made up of a ball called the humeral head and a shallow cup called the glenoid. The glenoid is a part of the scapula or shoulder blade. 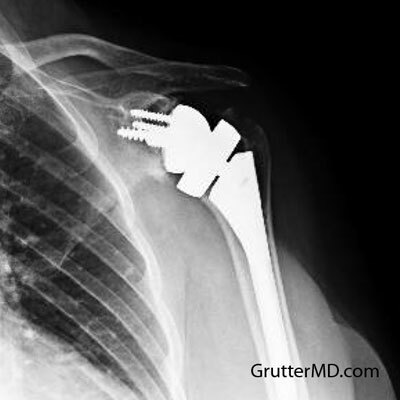 With a reverse total shoulder arthroplasty this normal anatomy of the shoulder is reversed. A metallic ball is placed on the glenoid and a plastic cup is placed on the humerus, thus reversing the biomechanics of the shoulder. Reverse total shoulder arthroplasty is mainly indicated for people who have lost the function of their rotator cuff muscles. This generally is due to massive rotator cuff tears, but can be due to fractures or failure of prior surgeries. By reversing the biomechanics of the shoulder the deltoid muscle is better able to compensate for the loss of the rotator cuff muscles and patients can achieve greatly decreased pain and improved function of their shoulder. Alternatives to reverse total shoulder arthroplasty include: Non-operative management with non-steroidal anti inflammatory medications, physical therapy, and steroid injections; Shoulder arthroscopy with debridement and biceps tenotomy; Hemiarthroplasty (partial shoulder replacement; Shoulder arthrodesis (fusion); and Total Shoulder arthroplasty. The complication rate of reverse total shoulder arthroplasty is higher than that of standard total shoulder arthroplasty. Risks of surgery include but are not limited to: periprosthetic fracture, Instability, Hematoma, Loosening, Polyethylene wear, Osteolysis, Scapular Notching, Heterotopic Ossification, Infection, Neurovascular Injury, Hardware failure, Incomplete relief of pain, Incomplete return of function, Stiffness, Incisional scar (cosmesis), CRPS, Numbness surrounding the incision, Need for further surgery, blood clots (DVT), pulmonary embolus (PE), and the Risks of anesthesia including heart attack, stroke and death. Although complications can occur, most patients are satisfied with their surgical outcomes. To decrease the risk of complications ensure that your surgeon is experienced in shoulder surgery and reverse total shoulder arthroplasty. You should always discuss any concerns that you have about surgery with your surgeon and ensure that you have a surgeon that you trust and are confident in. Avoid external rotation for 6weeks to allow subscapularis to heal. Avoid combined abduction and external rotation (risks dislocation). 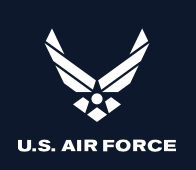 3 Months: activity as tolerated. Patients should avoid heavy lifting activities indefinitely. 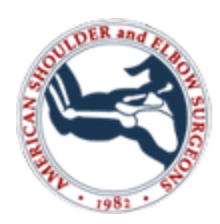 Appointments to discuss Reverse Total Shoulder Arthroplasty with Dr. Grutter can be made here. If you have continued questions or concerns after seeing your orthopaedic surgeon a second opinion from Dr. Grutter is often beneficial.